Purpose — to study associations between the character of the rapeutic procedures and formation of acute kidney injury in term newborns with severe perinatal pathology in early neonatal period. Patients and methods. A comprehensive clinical-paraclinical examination of 95 term newborns with clinical signs of severe perinatal pathology has been carried out, including 65 of them with disorders of the renal functional condition, and 30 — with acute kidney injury. To detect the connection between the character of therapeutic procedures and development of AKI a logistic regression analysis has been conducted with calculation of chance correlation (CC) and 95% of confidence interval (95% CI). Results. Postnatal factors aggravating renal dysfunction and increasing the risk of acute kidney injury formation in critically sick term babies have been found to be: the use of oxygen therapy with free flow (CC 3.13; 95% CI 1.059–9.225, р<0.05), loop diuretics (CC 15.8; 95% CІ 4.035–61.901, р<0.05), medicines with inotropic action (CC 9.0; 95% CІ 3.187–25.41, р<0.05), antispasmodic drugs (CC 17.38; 95% CІ 3.818–79.117, р<0.05), fresh frozen plasma (CC 5.14; 95% CІ 1.548–17.09) against the application of ventilation support and combined antibiotic therapy. Term newborns with signs of ARL in comparison with babies having the signs of renal functional state disorders against severe perinatal pathology have statistically considerably higher average estimation according to Neonatal Therapeutic Intervention Scoring System during early neonatal period (15.1±3.2 score and 11.3±2.84 score respectively, р<0.05). Conclusions. The use of therapeutic procedures aggravates unfavourable effects of hypoxic renal lesion and increases the risk of acute kidney injury formation in term newborns with severe perinatal pathology, which is associated with oxidative stress, disorders of central and peripheral hemodynamic mechanisms, direct cellular lesions of the glomerular membrane and canalicular nephrothelium. Key words: acute kidney injury, term newborns, mechanical lung ventilation, oxygen therapy, inotrops, aminoglycosides, diuretics. 1. Harbar MO. 2014. Kardiotonichni i vazopresorni preparaty v praktytsi likaria-anestezioloha. Medytsyna nevidkladnykh staniv. 6(61): 187—192. 2. Bushma KM, Spas VV, Shpal IA i dr. 2009. K voprosu o nefrotoksichnosti aminoglikozidov. 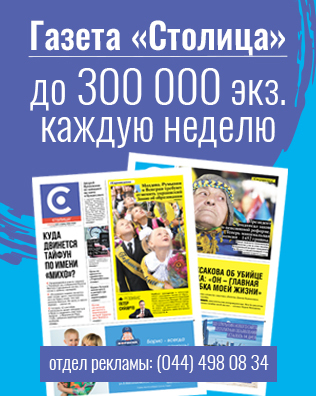 Novosti hirurgii. 17;1: 157—162. 3. Kozlova EM, Ivanov DO, Petrenko YuV. 2012, Iyun. Ostraya pochechnaya nedostatochnost u novorozhdennyih. Byulleten Federalnogo tsentra serdtsa, krovi i endokrinologii im. V.A. Almazova: 53—69. 4. Korsunov VA. 2010. Vplyv dofaminu ta dobutaminu na stan systolichnoi, diastolichnoi funktsii livoho shlunochka ta lehenevyi krovoobih pry septychnomu shoku u ditei. Ukrainskyi zhurnal ekstremalnoi medytsyny im. H. O. Mozhaieva. 11;1: 58—62. 5. Mayanskaya SD. 2013. Polozhitelnyie inotropnyie sredstva dlya lecheniya ostroy serdechnoy nedostatochnosti. Vestnik sovremennoy klinicheskoy meditsinyi. 6;4: 79—85. 6. Riha OO. 2013. 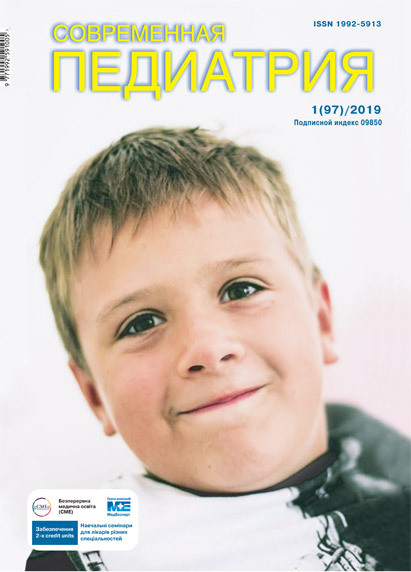 Diahnostyka ta prohnozuvannia hemodynamichnykh porushen u novonarodzhenykh z perynatalnoiu patolohiieiu. Avtoref d.med.n. Spets. 14.00.09 «Pediatriia». Kharkiv: 49. 7. Stopinchuk OV. 2013. Porivnialna kharakterystyka petlovykh diuretyniv. Visnyk Vinnytskoho natsionalnoho medychnoho universytetu. 17;2: 510—515. 8. Cerda J, Sheinfeld G, Ronco C. 2010. Overload in Critically Ill Patients with Acute Kidney Injury. Fluid Blood Purif. 29: 331—338. 9. Fanos V, Antonucci R, Mussap M et al. Drug-induced nephrotoxicity in the newborn: the state of the art. http://www.researchgate.net/publication/268331900. 10. Girardi A, Raschi E, Galletti S et al. 2015. Drug-induced renal damage in preterm neonates: state of the art and methods for early detection. Drug Saf. 38: 535—551. Doi 10.1007/s40264-015-0288-6. 11. Kidney Disease: Improving Global Outcomes (KDIGO) Acute Kidney Injury Work Group. KDIGO clinical practice guideline for acute kidney injury. Kidney Int. Suppl. 2012. 2: 1—126. 12. Leena M, Vijayakumar S, Rao AY. 2013. Drug-induced nephrotoxicity and its management — an overview. International Bulletin of Drug Research. 2(3): 50—65. 14. Richardson DK, Gray JE, McCormick MC et al. 1993. Score for Neonatal Acute Physiology: a physiologic severity index for neonatal intensive care. Pediatrics. 91(3): 617—623. 15. Tataw J, Saudan P. 2011. Diuretics in acute kidney failure: useful or harmful? Rev Med Suisse 2;7(284): 501—504. 16. Bagshaw SM, Gibney RTN, McAlister FA et al. 2010. The SPARK Study: a phase II randomized blinded controlled trial of the effect of furosemide in critically ill patients with early acute kidney injury. 11: 50—55.